Why are you wasting your energy, time, and emotions? If you missed my previous post … the real estate market for buyers has gone crazy, but it doesn’t mean that there’s no way to get a home. To be successful in this market you need to be more educated, more patient, more decisive, but more than anything you need to work smarter! YES, you can get your offer accepted amongst 20-30 other offers … even if it’s not the highest price. Real Estate is a RELATIONSHIP business. When a seller gets 20-30 offers, 90% will be ignored. The ones that don’t get ignored are the ones that had created a RELATIONSHIP with the listing agent, seller, or both. What the sellers want – Contrary to what you might think, most sellers don’t just want money. What does your seller want?? 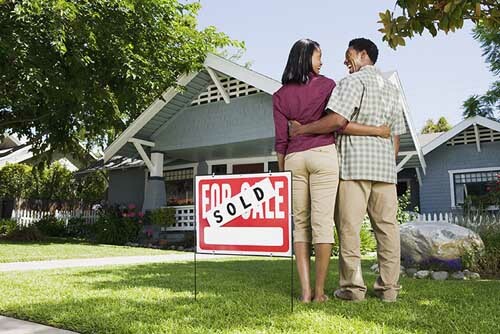 Sellers often want safety, security, or convenience more than money. You’ll be shocked how often sellers want their home to go to a “nice family” more than they want an extra $5K. To close the transaction as soon as possible – to be paid ASAP and incur minimal costs. The optimal, complete, offer package – yes you do have to write a personal letter to the sellers, but don’t worry, I’ll edit and format it for you to make it just right. How to determine the correct market value of a home – This is part science, part art… and it’s absolutely crucial to know what a home is worth before submitting an offer. Are you tired of being a home SHOPPER, and ready to be a home OWNER? E-mail me today & STOP being Outbid!! !